Blogger is one of the popular CMS that helps users to have their own blog for free. As always Blogger has been improving and adding many new features to it. 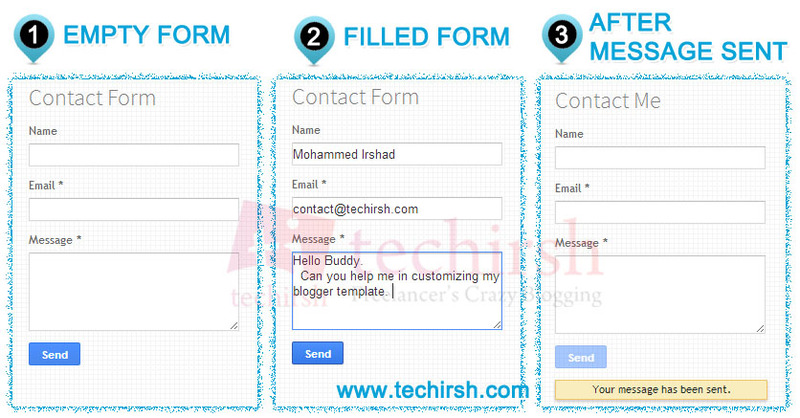 Contact Form is another amazing feature added by Blogger. Earlier users had to depend on third party contact form providers like email me form. Now blogger officially supports adding contact form widget to blogger domains. Adding contact form is very simple. You can add them like you add other widgets. 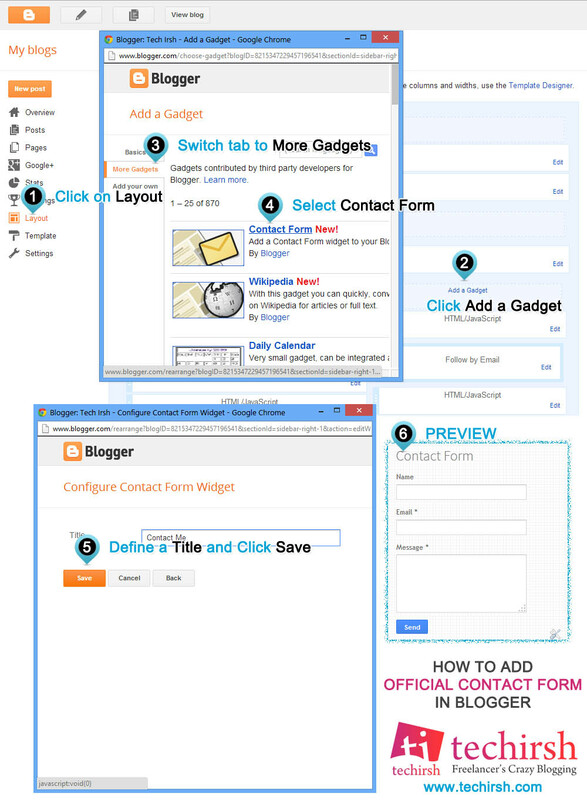 Follow the below steps to add Official Contact Form to your Blogger site. 2. Select Layout and Click Add a Gadget. 3. Popup page with widgets will be Displayed. Switch the tab from Basics to More Gadgets. 4. Select the Contact Form. 5. Define a Title and Click Save. You are Done. Mail will be sent to all the owners of the blog. Owners will be receiving mail from noreply@blogger.com id.